Get your copy of the most comprehensive annual guide to Britain’s steam railways, heritage museums and events. With details of around 1,000 museums and attractions and 1,500 events, ensure you don’t miss out on all that Britain has to offer the heritage enthusiast throughout 2019. 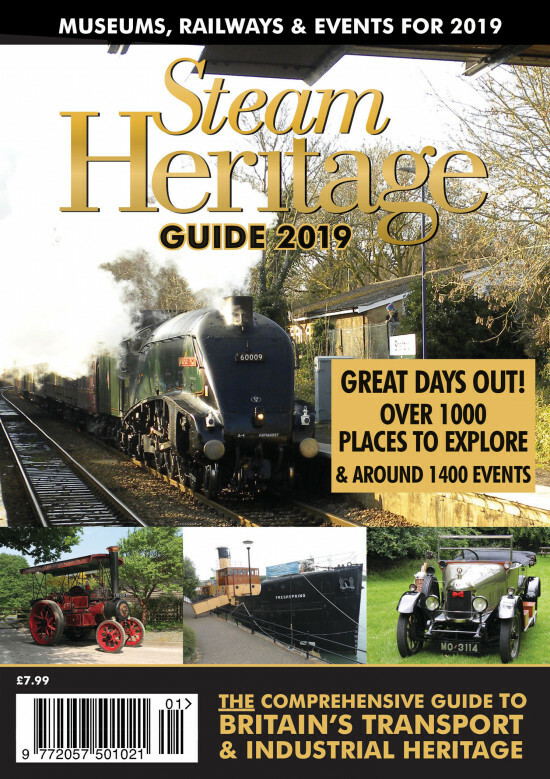 The full listings from the Steam Heritage website are all contained in a handy A5, full colour 170 page booklet, clearly laid out to make it is easy to browse attractions by region and type as well as all events for the full year.